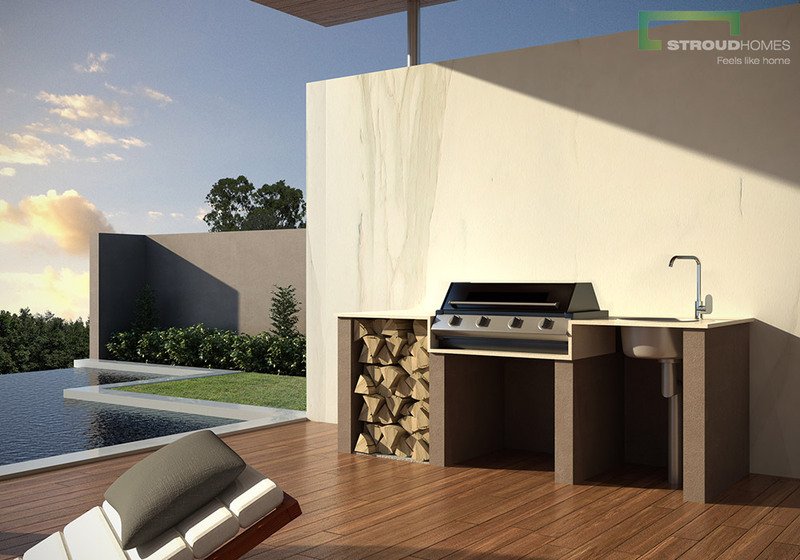 The gas connection point is intended to connect to the home’s gas lines – and then to either large bottles or reticulated gas. No more running out of gas because of having the small bottles! 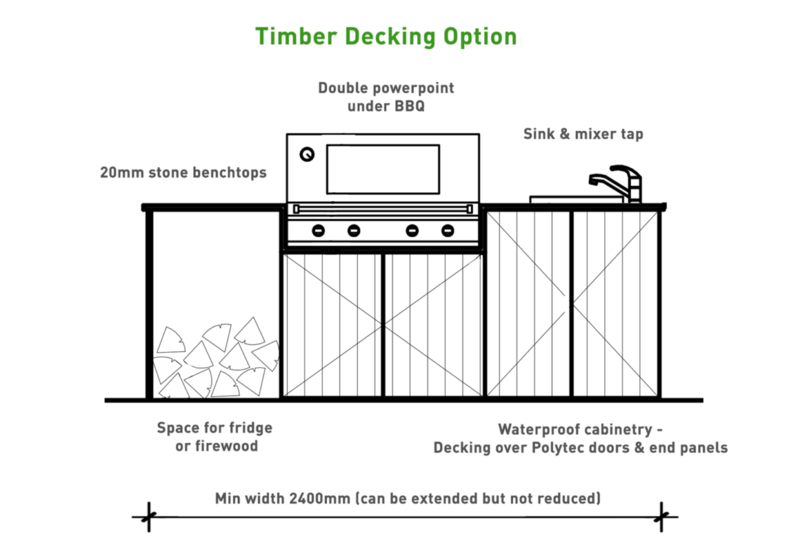 Optional cabinetry is fully 100% waterproof – well suited to outdoor use. Hose it down! The firewood space also suits a standard bar fridge – sold separately! 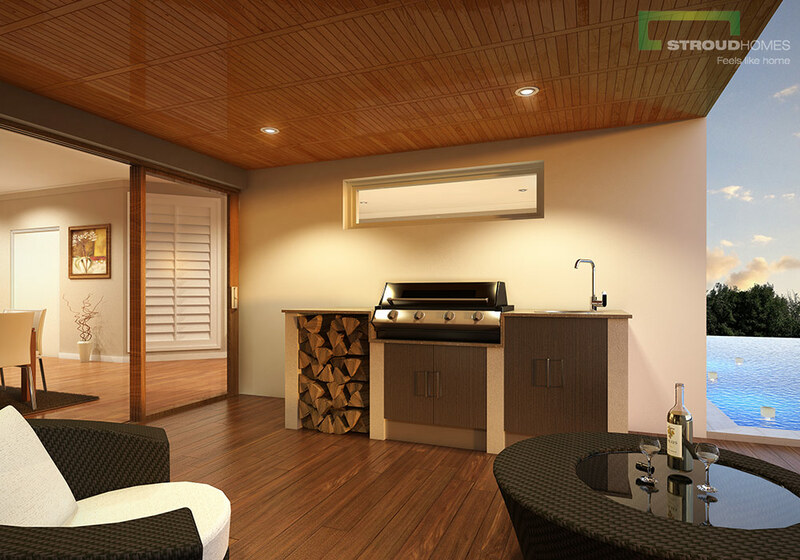 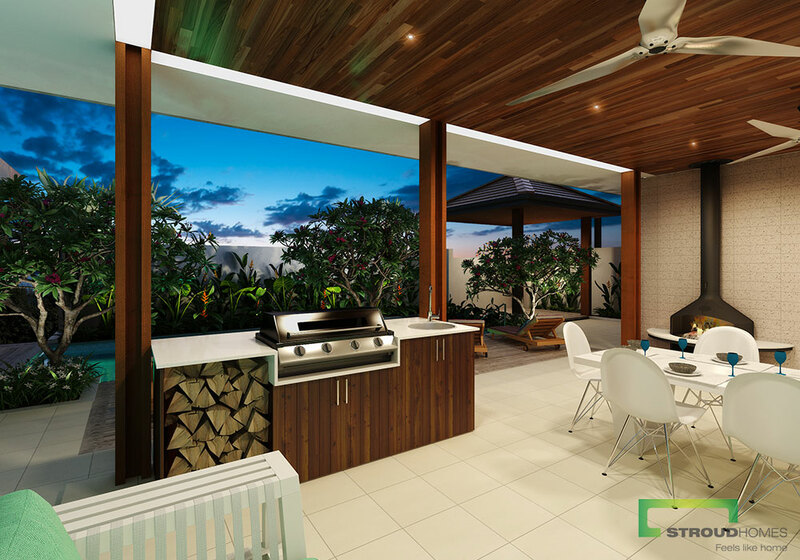 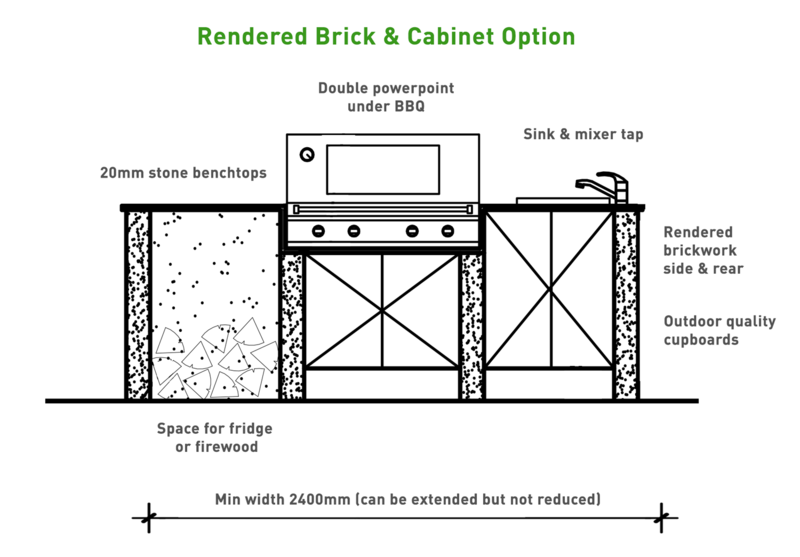 If you are building a rendered home the BBQ will be rendered. 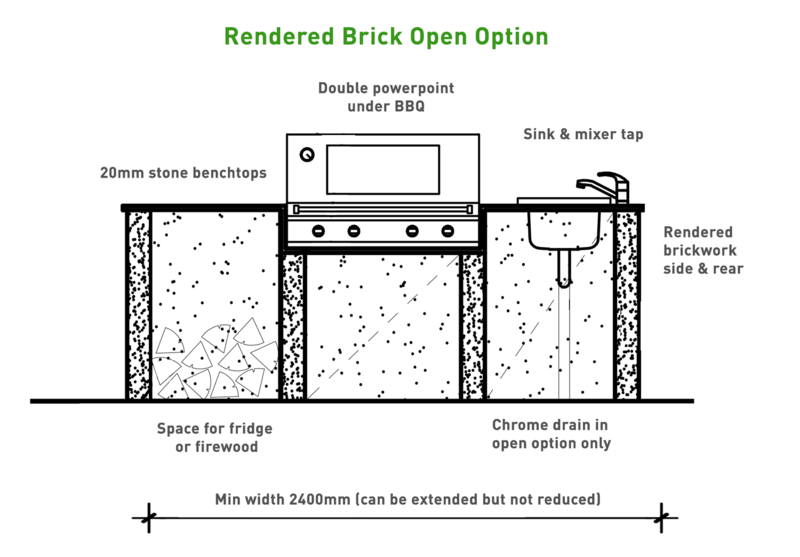 If you are building a face brick home then the BBQ will be face brick.